This article traces the history of scientific and empirical interval training. 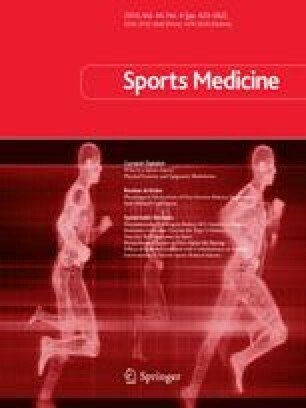 Scientific research has shed some light on the choice of intensity, work duration and rest periods in so-called ‘interval training’. Interval training involves repeated short to long bouts of rather high intensity exercise (equal or superior to maximal lactate steady-state velocity) interspersed with recovery periods (light exercise or rest). Interval training was first described by Reindell and Roskamm and was popularised in the 1950s by the Olympic champion, Emil Zatopek. Since then middle- and long- distance runners have used this technique to train at velocities close to their own specific competition velocity. In fact, trainers have used specific velocities from 800 to 5000m to calibrate interval training without taking into account physiological markers. However, outside of the competition season it seems better to refer to the velocities associated with particular physiological responses in the range from maximal lactate steady state to the absolute maximal velocity. The range of velocities used in a race must be taken into consideration, since even world records are not run at a constant pace. This study was supported by grants from la Caisse Centrale des Activités Sociales d’Electricité et Gaz de France.